We first made baba ghanoush a few weeks ago for a Mediterranean-themed dinner my friend was hosting, and we were amazed how simple it was to make. The next time I went grocery shopping, I stocked up on eggplants as I knew we’d be making this deliciously creamy dip again. We originally followed this recipe on AllRecipes.com which had the eggplants roast in a 400°F oven for 30-40 minutes, then placed in ice water to cool. We then peeled the skins off and puréed the eggplants with the rest of the ingredients. This method is the easiest way to make baba ghanoush, but if you want to do it more “old school” traditionally, try cooking the eggplant over an oven flame as detailed below. This is a bit more work, but it results in a fantastic smokey flavor. The only setback is the slight burning smell you get as you char the eggplant, so open all the windows, turn the fan on high, and hope your fire alarm isn’t too sensitive. 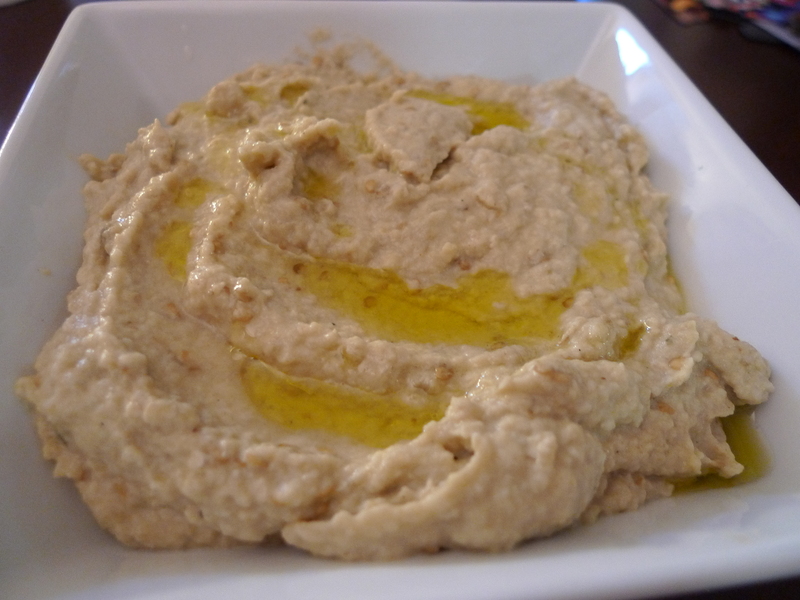 Baba ghanoush is a great dip to enjoy with some pita bread, or as a topping in a falafel sandwich. 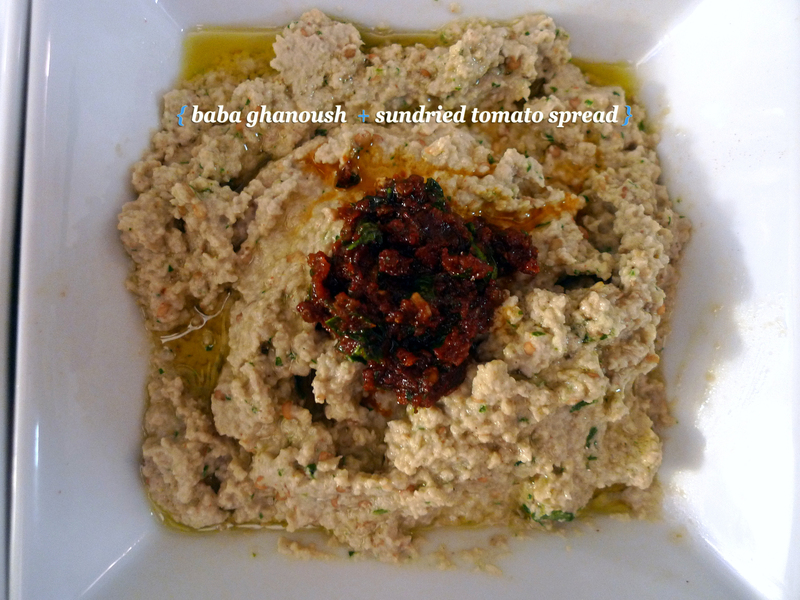 To add a bit more flavor, I like mixing the baba ghanoush with a Sun-Dried Tomato Spread. Prick the eggplant all over with a fork and then place it directly on the flame of a gas burner. Char each side over medium-high heat until it is soft and black all over. Wrap the eggplant tightly in foil and leave on the burner for 30 minutes, rotating once in a while. This should leave the eggplant completely soft; you should be able to easily poke a paring knife into the eggplant and meet no resistance. Remove and let cool. You can use an ice bath to speed the cooling process, but you might lose some of the delicious juices. When cool enough to handle, split the eggplant and scrape out the pulp into a food processor. Add the lemon juice, tahini, sesame seeds, parsley and garlic and purée until smooth. Season with chile powder, paprika, salt, and pepper to taste. Transfer eggplant mixture to a medium size mixing bowl, and slowly mix in olive oil. Refrigerate for 3 hours before serving.